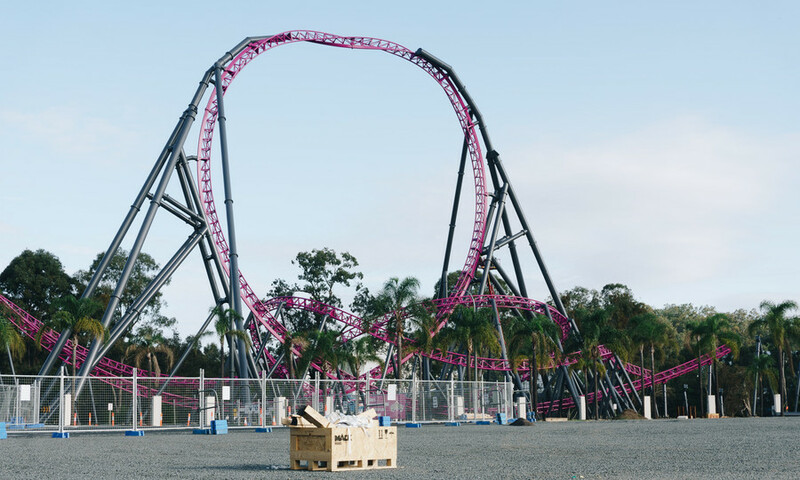 The ongoing construction of DC Rivals HyperCoaster is fast showing just how much of an impact the gargantuan roller coaster will have on the skyline at movie World as it towers over several of Movie World's tallest rides. The first drop will have some serious angle on it judging from the connection plate at the top. This will be the tallest point of the ride's lift hill structure. The image associated with that caption is the top left in the image below. The top right image shows Rivals compared to green lantern - which looks nothing like double the height. 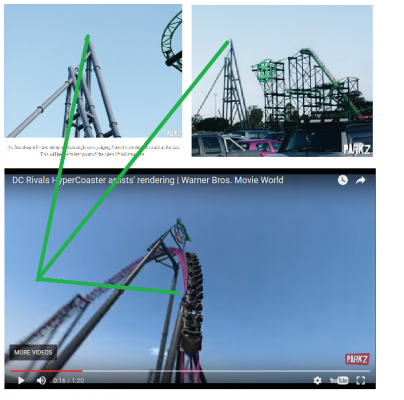 The bottom image shows (what i think) is the same support in @docoaster's rendering, which also clearly shows that the tallest point of the lift hill (according to the render) is a flat-top, supported by two separate supports, rather than an a-frame with the track mount at the absolute top point of the A. So my question is is the caption wrong, or is the render incorrect? "The skyline at Movie World is rapidly changing – and there's still a lot more height to come!" Also given that Green Lantern is 108 feet the highest point of the hill should be roughly double the height, which that support is not. @AlexB The rendering is right, since it was built after the plans from Mack. So you can be sure that there will be several meters added to what we see right now. Oops @AlexB... I noticed that caption was wrong yesterday and fixed it in the photo gallery but not in the article. I absolutely had faith that it would be @docoaster, and i'm sorry if my post implied that you hadn't done a great job at replicating it precisely - I guess it was my soft approach at asking why the caption was implying that it was the tallest when all other imagery suggested it wasn't. Nevertheless its all cleared up now. Whilst the perspective I am seeing from the highway daily isn't the best to the judge, even with a few more metres to add to that current A-style structure, it doesn't appear as though it's going to be near double the height of GL ? No worries, I didn't understand it that way. 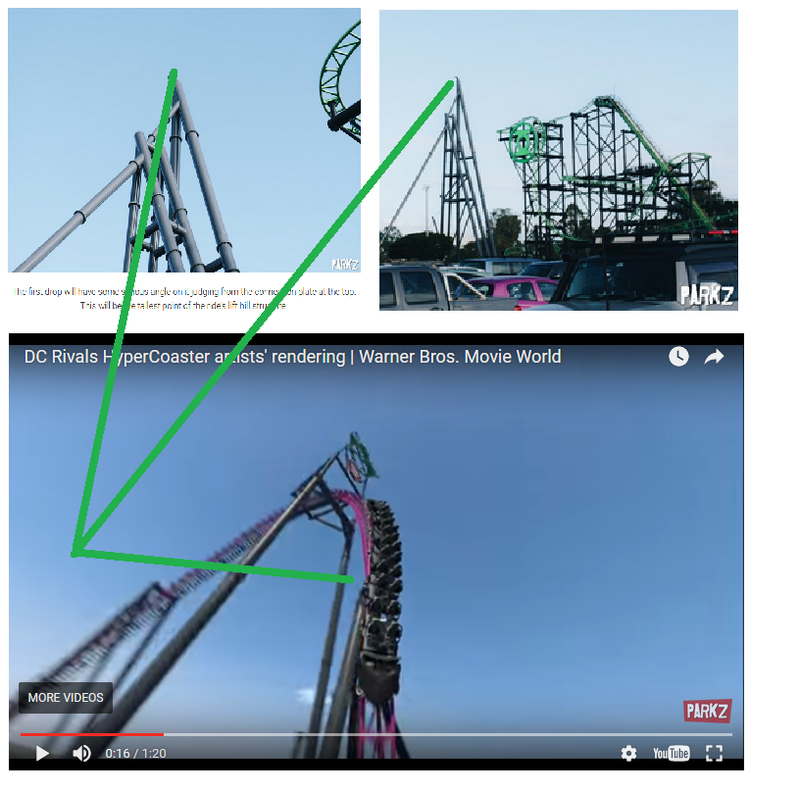 Just wanted to confirm that the coaster will be a lot higher. Well the Green Lantern is 33 meters tall and the DC Rivals is 61.6 meters tall, so almost double the height. 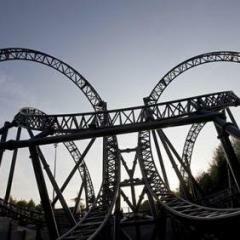 Not sure if the 61.6m figure takes into account the huge joker face on top of the lift hill either. The 61.6 m refer to the top of the track - not the joker face. 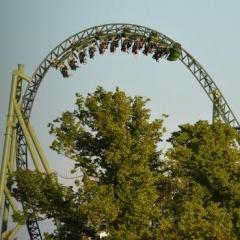 Originally on the MW website, it had the height at around 72 metres and everyone concluded, that was the height including the joker head. It's since been removed from their website and all marketing now bill the height as 61.6 metres. If you're wondering just how much height the Joker head will add.